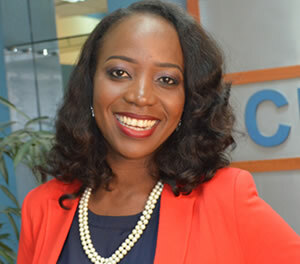 Maupe is a passionate broadcast journalist currently co-anchoring the station’s prime-time breakfast show “Sunrise Daily”, which focuses on the hard issues of politics, public policy, security, development and governance in Africa’s most populous nation and largest economy. Her voice on the programme in the last five years has projected her to the limelight and earned her a reputation for digging for truth and holding public officials to account through her probing and insightful questions. Maupe’s career has seen her moderate several high-level events such as ‘town-terviews’ for US President, Barack Obama and former US Secretary of State, Hilary Clinton. She’s also moderated a youth session at the World Economic Forum on Africa and co-anchored a media dialogue with Nigeria’s former President,Goodluck Jonathan. She was born in Lagos and educated at the University of Lagos and the University of East Anglia, Norwich where she studied English Language (BA) and International Relations and Development Studies (MA) respectively. When Maupe’s not at work, she spends time with family, books and interesting friends.